Mesmerized by a beaded moon, a fairy floats on a carpet of filmy clouds, ethereal in a white, off-the-shoulder gown with mauve cape and strands of lustrous pearls woven throughout her chestnut hair. Her gauzy, iridescent wings are momentarily at rest as a dozen swirling, misty moons light her way throughout the night. Stitch count is 259 x 274. 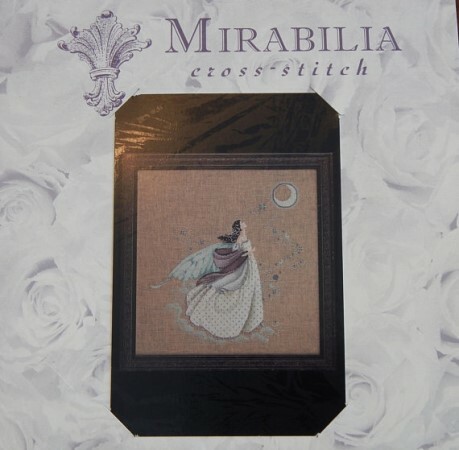 This is the limited edition chart release celebrating 25 years of Mirabilia.